Is Ansel Adams still alive and in orbit around Mars? 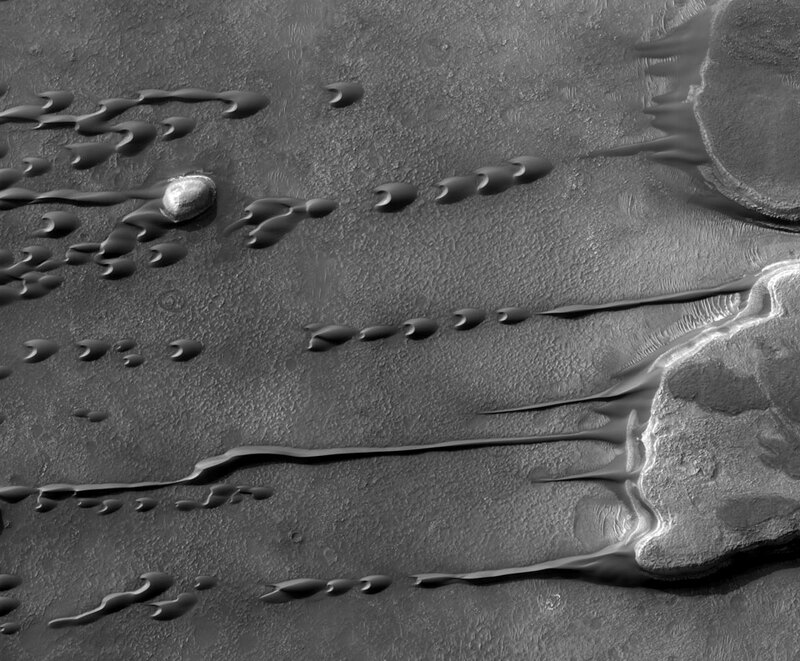 From Astronomy Picture of the Day, April 22, 2012: Flowing Barchan Sand Dunes on Mars. Barchans are crescent-shaped sand dunes, with two horns that point downwind. They form in areas of limited sand supply; on this image you can see that the dunes occupy less than ten percent of the plain. And they are very photogenic.